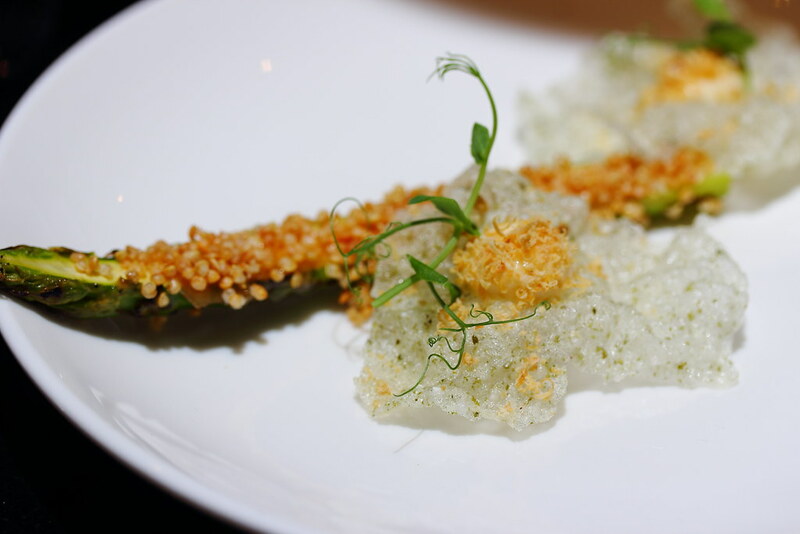 A new kid in the block at Keong Saik Road is Meta offering contemporary Asian dishes. At the restaurant, traditional dishes and flavours are given a new interpretation and creation with a modern twist. 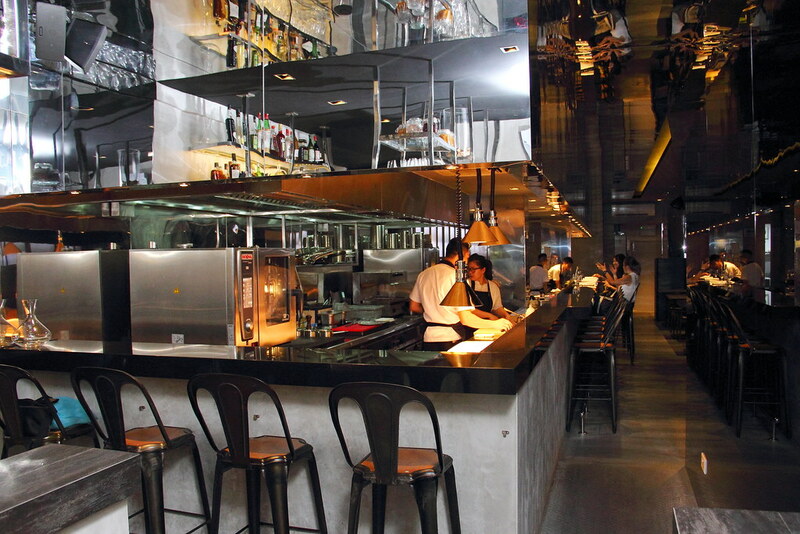 Helming the kitchen is Chef Sun Kim who has worked in Tesuya, Sydney and Waku Ghin, Singapore. The menu at Meta is kept simple with 3 tasting menus. It comes with a 5 and 8 course tasting menus, and a 5 course vegetarian tasting menu. The 8 course menu ($128++) started with the Amuse Bouche that gives a glimpse of the culinary direction of the restaurant. The Grilled Asparagus is topped with quinoa and sweetened with miso. Accompanying it is 2 thin crackling rice cracker with garlic aioli and squid powder. 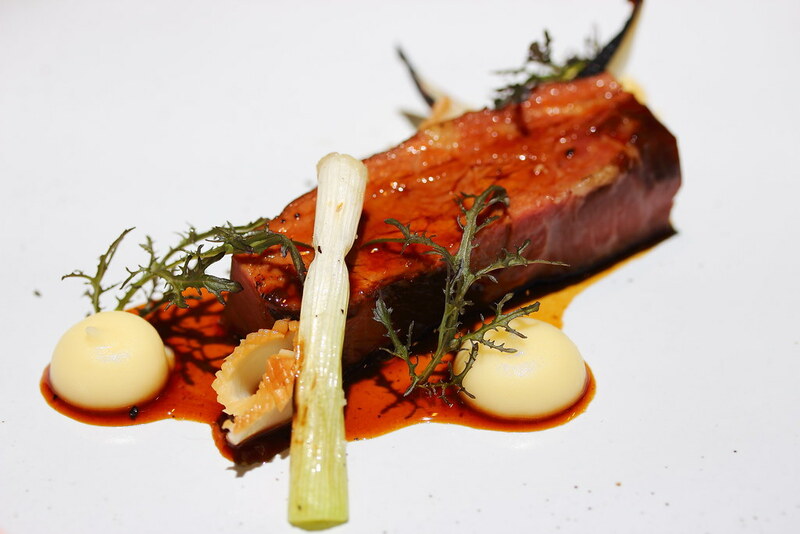 The play of textures and flavours are very pleasing to the palate. Freshly shucked Oyster is norm but pairing with lemon and ginger dressing with bursts of pomelo pulps. 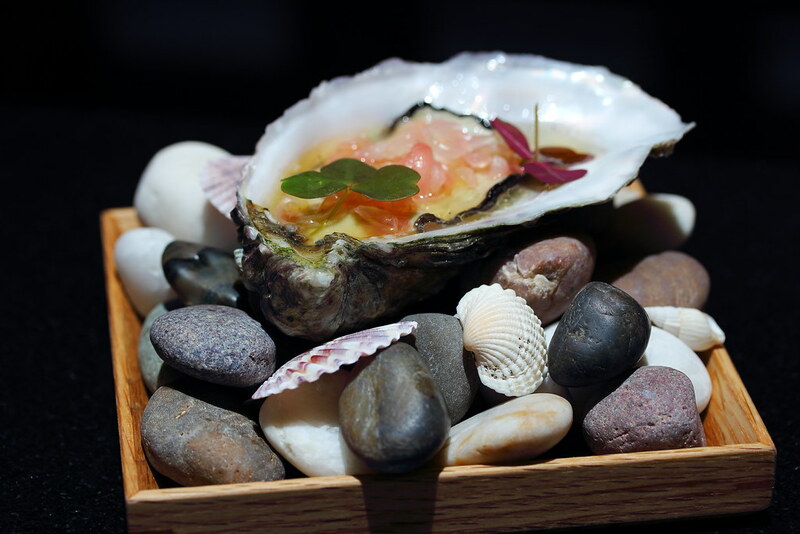 The tangy and sweetness complemented the oyster instead of overpowering it. A refreshing way to enjoy oyster. The Amaebi, a Japanese Sweet Shrimp is served in two ways. 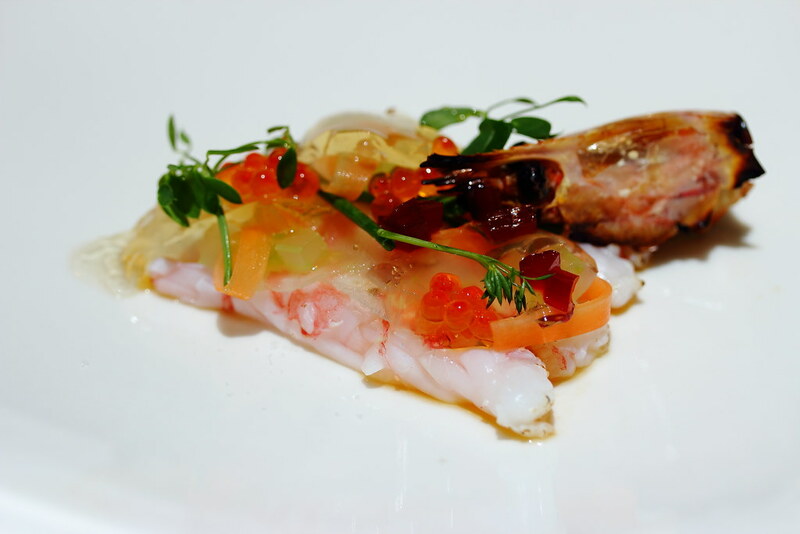 First the deshelled prawn is served sashimi style with dashi jelly, trout roe, beetroot stem and carrot. Second the prawn head is given an aromatic smokey charred which is to be eaten last. I would advised cautious in eating as not to get cut by the shards. The dashi jelly is the highlight for me, is like substituting the dipping sauce for sashimi. Most of us have probably tried beef tartare and it is usually served with a raw egg yolk to mix it up with the raw beef before consumption. 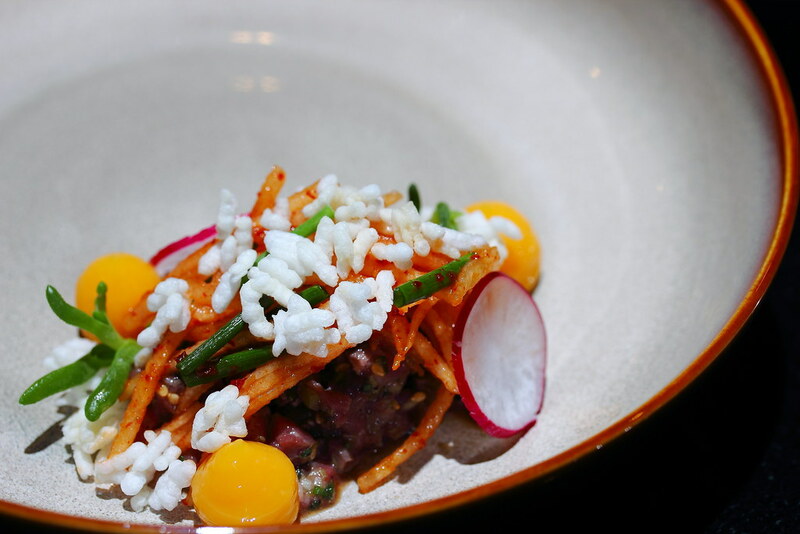 At Meta, the Wagyu Beef Tartare has more textural enjoyment with the used of pear kimchi strips and rice crackers. 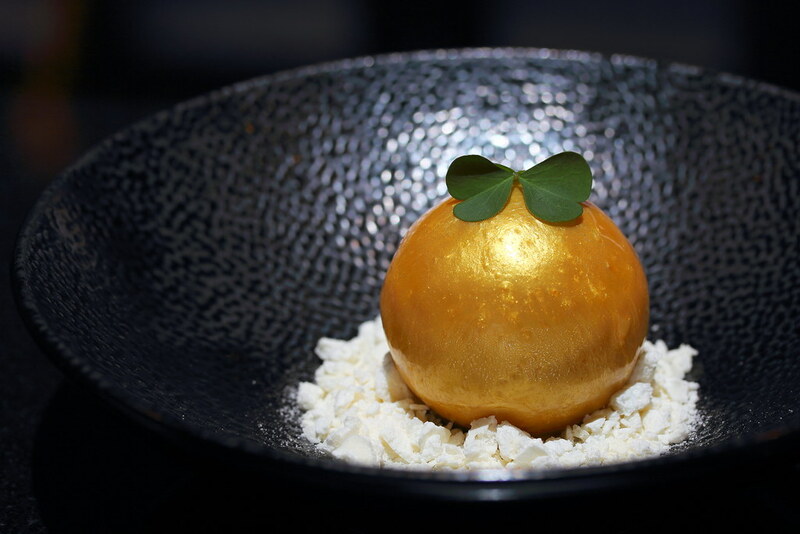 The raw egg is also given a modern twist, replaced with the egg jelly. This interpretation has lifted the boring beef tartare dish to a new level. 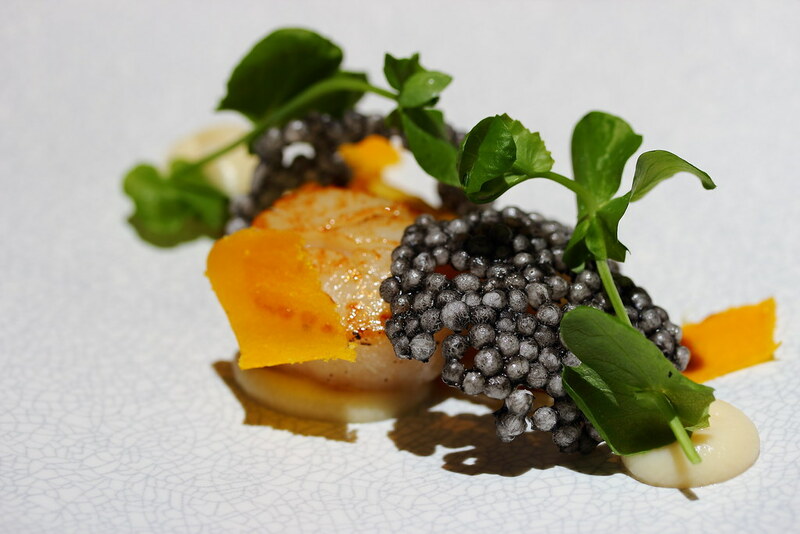 The Hokkaido Scallops comes with shaved bottarga, sweet korean miso, endive and squid ink cracker. The flavour of the dish unfortunately was pale in comparison to its beautiful presentation. It felt like the plump scallop is still hidden in its shell and not making friends with the rest of the ingredients. It somehow lacked the harmony for the dish to shout out. Moving on to the fish dish, I have the Sea Bass instead of John Dory. This is subject to the catch of the day itself. 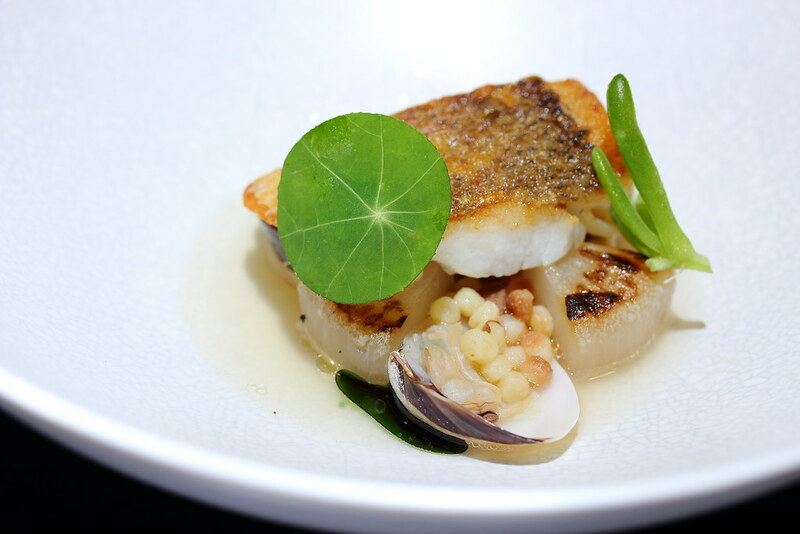 The sea bass was cooked beautifully with a layer of crispy skin, providing a delightful contrast to the moist white fish meat. The clear clam broth and basil oil further accentuated the flavours, wrapping up with fregula for a comforting satisfaction. I love my meat but I have to say the Slow Cooked Grass Fed Beef Short Rib served with parsnip and oyster mushroom did not quiet manage to excite me. The meat was cooked to tender consistency but it lacked the punch in flavour that you get from the grill. No matter how I look at it, I am not able to tell it is a Blood Orange Cheese Cake. 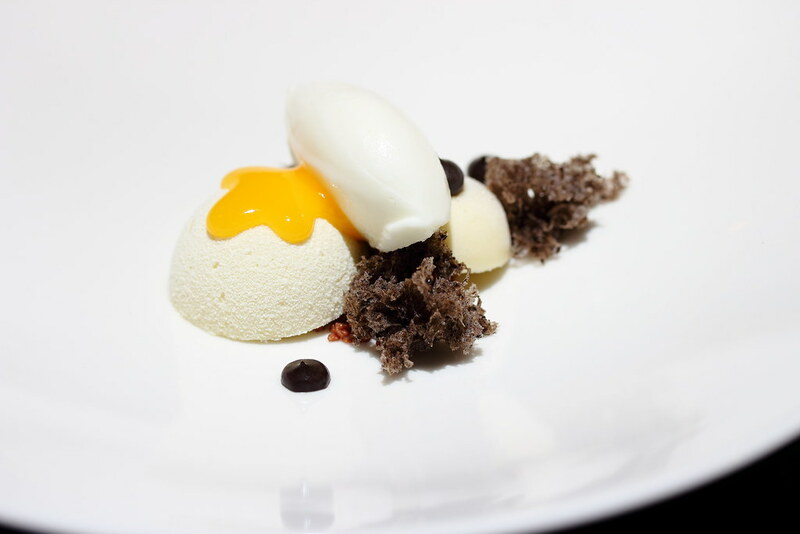 That is what Pastry Chef Tammy Mah is all about with a skill which fit to the whole concept of the restaurant to create dessert with a modern twist. The deconstructed cheese cake is is made up of a citrus gel sphere encasing the citrus cheesecake and a dark chocolate shell with a blood orange liquid center. Another interesting creation on the dessert is the White Chocolate Wasabi Cream with Sesame Sponge and Yogurt. The standout for me in the refreshing dessert is the unique wasabi spiked white chocolate cream. A familiar ingredient that is usually paired with sushi or sashimi but now being used in dessert dish. A fun dessert on the menu is The Rock. The espresso meringue is made of nitrogen. Diner is suppose to pop the whole thing into the mouth, and exhale! Cold nitrogen fume will breathe out of the nostril as the aromatic espresso slowing settled down on the surface of the tongue, waking up the senses. A fun dessert indeed but this is not something new to me. Meta definitely is one of the restaurants to watch this year. The exquisite dishes definitely impressed but it falls short of wowing me. 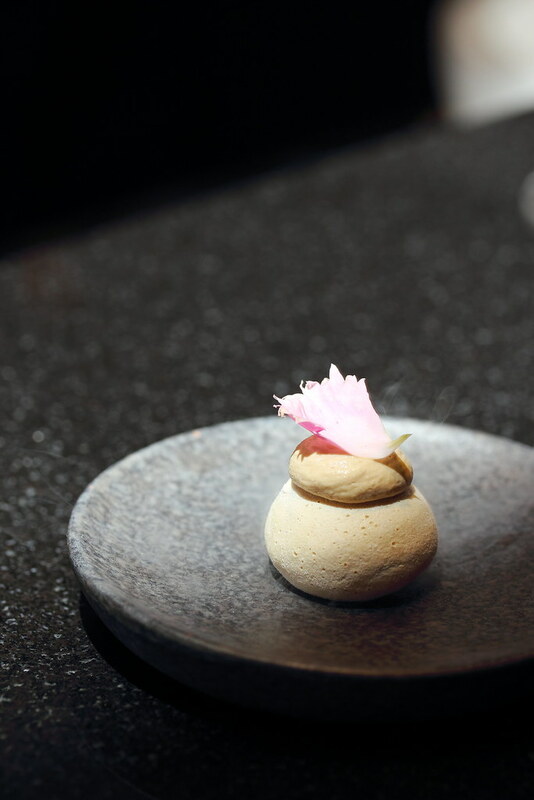 Saying that, I like Chef Sun Kim's culinary philosophy of modern Asian interpretation playing with different textures.